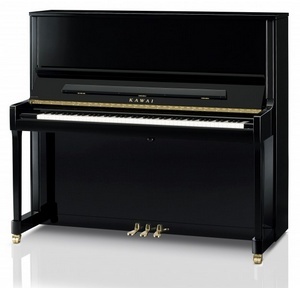 An exceptional piano for the serious pianist. 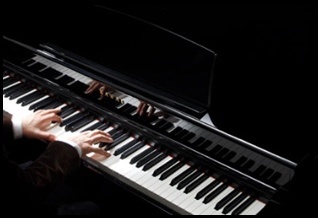 The K-600 offers a level of tone quality and performance that may rival many grand pianos. With sturdy construction and designed for years of reliable service, the K-600 is excellent for auditoriums, schools and other institutional settings. 7¼ octave keyboard. 3 pedals (½ blow, practice and sustain). Sostenuto pedal available (model AS). Overstrung with a full iron frame. Exclusive Millennium III underdamper upright action with ABS-Carbon Composites as used in the EX and SK concert grand series. 1.52m 2 solid spruce tapered soundboard. Double Felted, mahogany core hammers. Hard maple wrest plank. Nickel plated wrest pins. 6 post fully braced back. Neotex keys. Duplex scale. Twin wheeled brass castors (front). Fall lock. Agraffes A1 - B51. Height = 134 cms. Width = 153 cms. Depth = 65 cms.